Let our plantation style clubhouse and gorgeous views of the surrounding golf course provide the picture perfect setting for your special day. 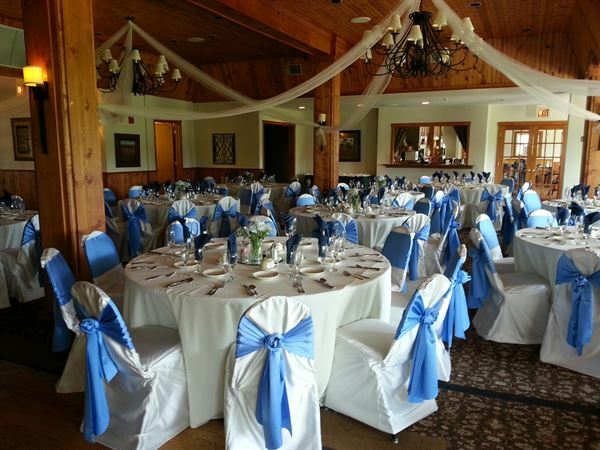 Weather you are planning and outing, banquet, birthday, babyshower or wedding Tamarack Golf Club is the perfect location. Our attentive staff will ensure that all the details of your event are handled with special attention so you and your guests can enjoy an experience of a lifetime. Please see menu for package information. Weddings packages are a 50 guest minimum. Prices do not include 20% service charge and 7% tax.